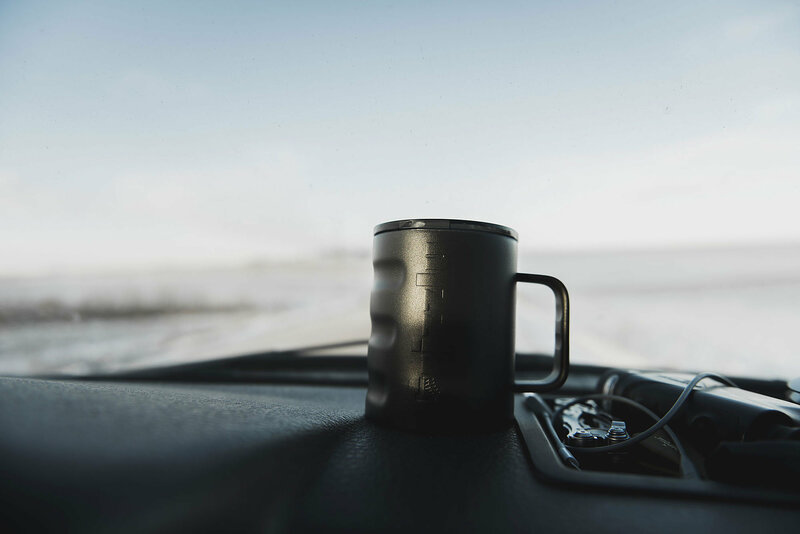 The Grizzly Camp Cup will quickly become your favorite mug for your morning coffee or favorite beverage. 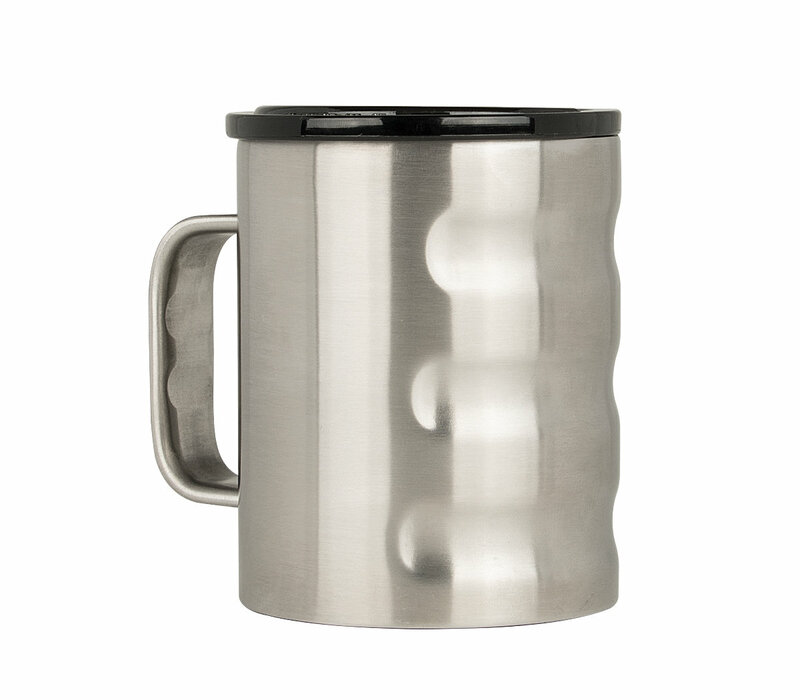 This heavy duty stainless steel cup has double walled insulation that is designed to keep your drinks hot so you can enjoy! This unique design features comfortable built in grips and rubberized bottom that will not slip off surfaces. 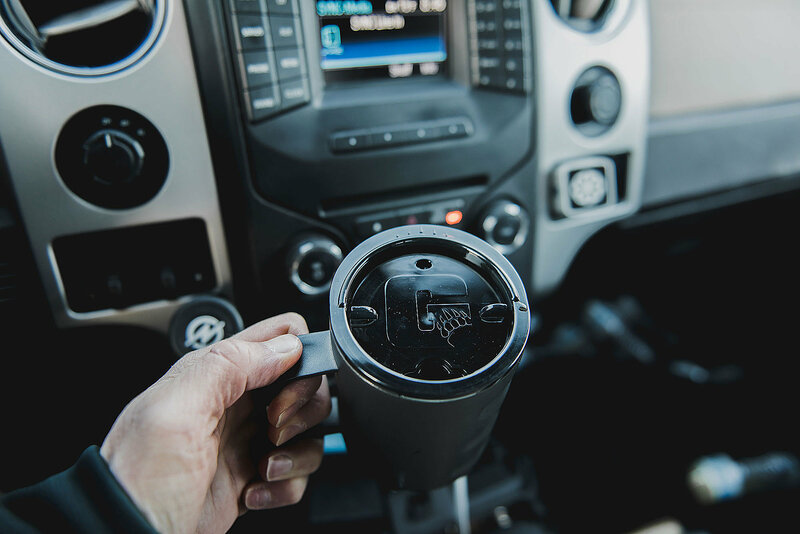 The splash proof twist lid makes for enjoyment on the go as well. 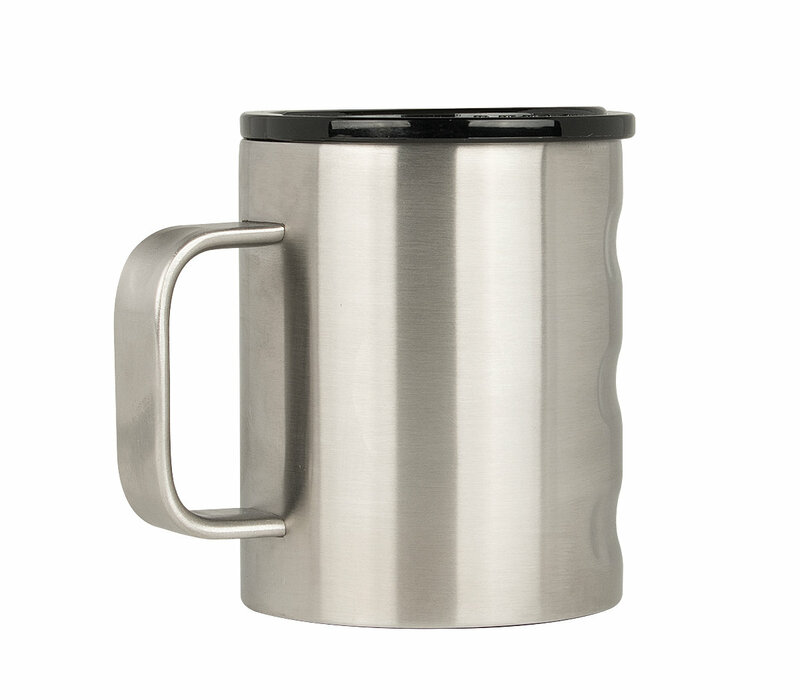 Available in Stainless Steel, or Textured Charcoal finishes. 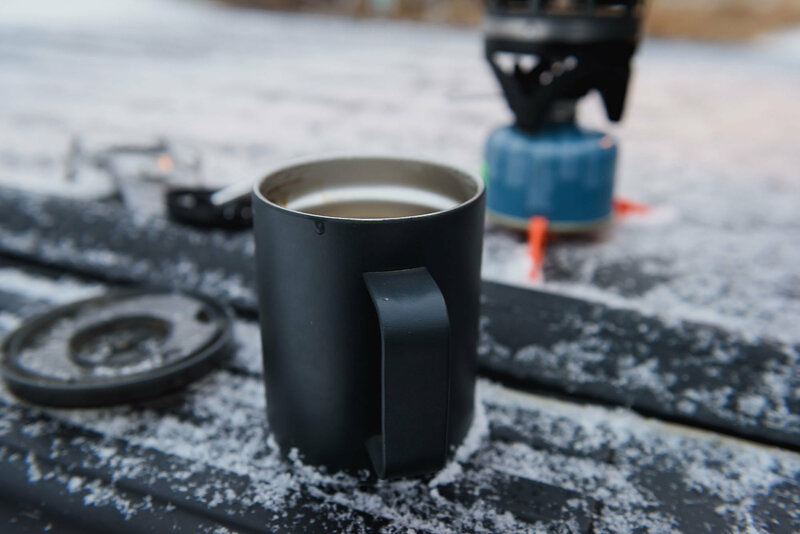 Perfect Camp Companion: This Camp Cup is perfect for your favorite morning beverage and will keep it hot with its double walled insulation. 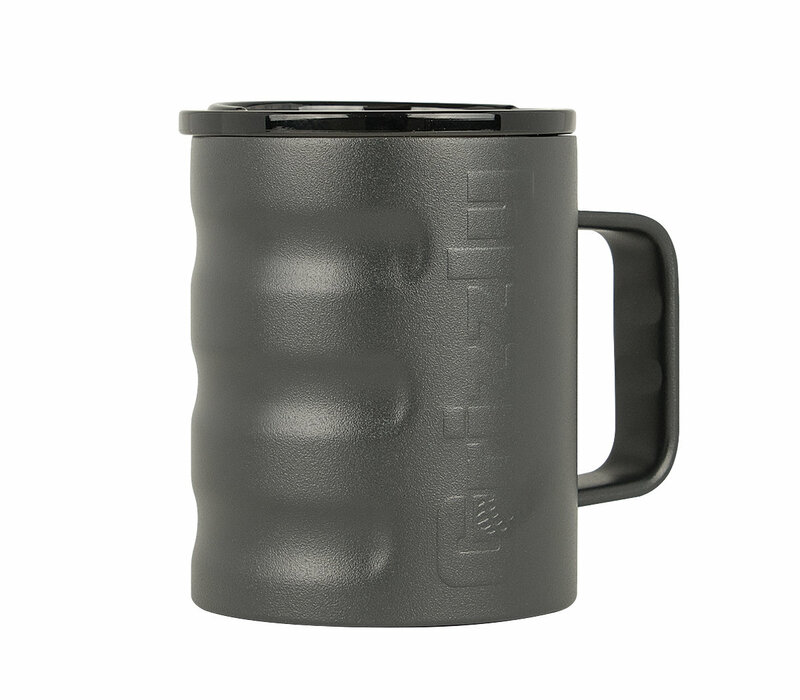 Tough but Comfortable: Durable Stainless Steel construction with built in grips make this cup comfortable while relaxing or on the go! 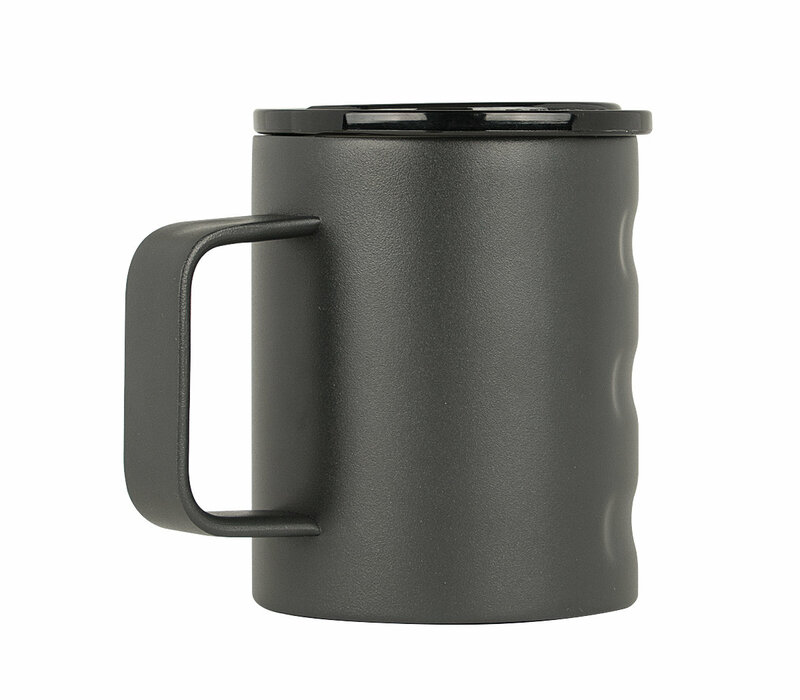 Rubberized bottom makes the cup not slip of surfaces. 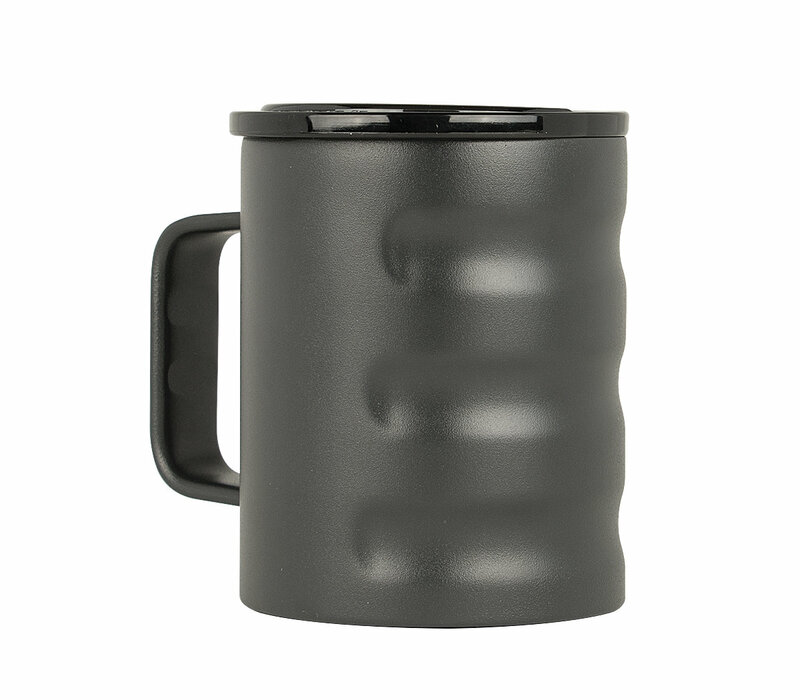 Smoked Polymer splash-proof lid will twist for beverage enjoyment in any situation.